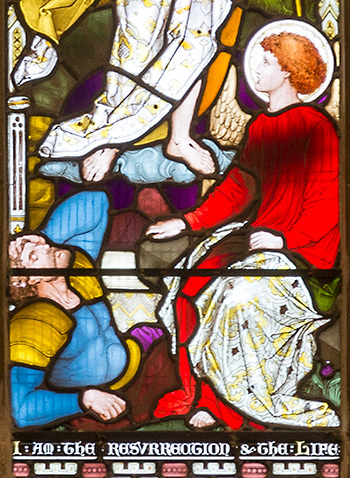 I will be presenting a number of talks in September related to my work on stained glass in Wales. The first of these will be held in Narberth Museum on 3 September at 7.00. Earlier in the afternoon I will be at Oriel Q from 4.00, where my exhibition Patterns, Monsters and Mysteries will be in its final week, to talk about the exhibition. 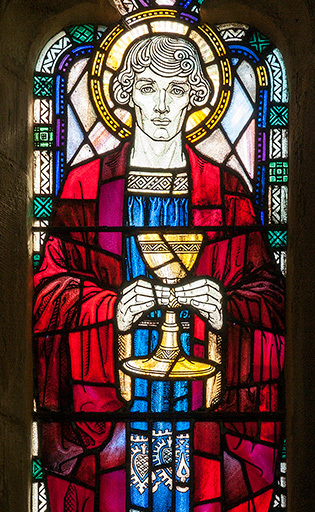 Immediately prior to the talk, the Church of St Andrew, Narberth, will be open from 6.00, providing an opportunity to see windows by Joan Fulleylove, Morris & Co and Robert Newbery. I will also be speaking at conferences in Aberystwyth and Carmarthen, both of which are related to broader themes. The Aberystwyth conference is a British Academy Digital Humanities Networking Event, 12-13 September, at the National Library of Wales. 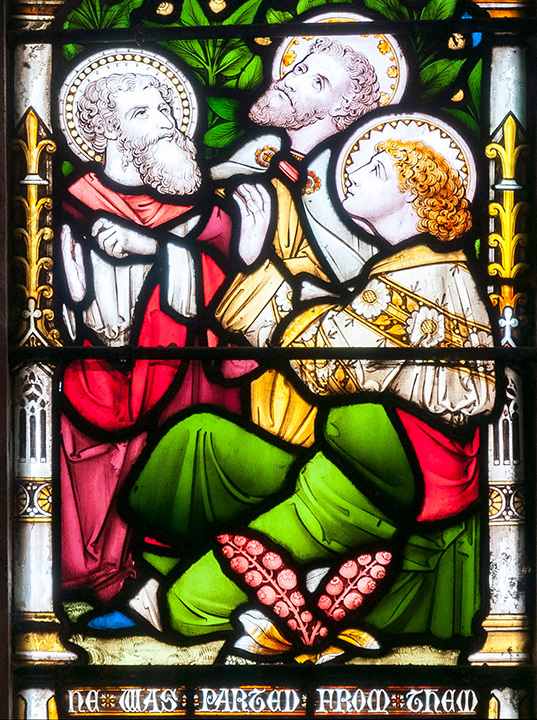 For the conference in Carmarthen I will be speaking about images of Welsh Saints in stained glass as well as in other media. This conference, 16-19 September, is part of The Cult of Saints in Wales Research Project at the University of Wales Centre for Advanced Welsh and Celtic Studies.